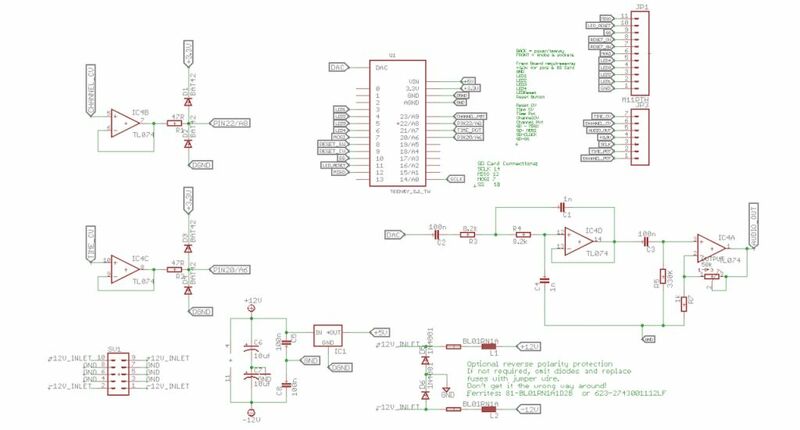 I was going back in a discussion with a friend to a PCB I made with some mods for my Radio Music and while looking at the schematics I see something that I did not before, that get me now confused (again!) and I need to be sure. What is producing the +3.3v needed for limiting and for the Teensy? This morning I can't see anymore how it's done neither on the original schematics nor on mine! The more I work on circuits (learning I should say) the more questions arise. This 3.3v on the Teensy must be then an output (+5v transformed to +3.3v), not an input like I thought until today***! EDIT: confused because I thought it was an input but it looks like I was misinterpreting this from day 1! Teensy 2.0 and Teensy++ have a place to solder a 3.3 volt regulator to convert the Teensy to run at 3.3 volts." I found the schematics of Teensy 3.2 and there's a LP38691 making these 3.3v.